← Fish Risotto “Napoli” with a Crown of Prawns – For the Pampered Cat! 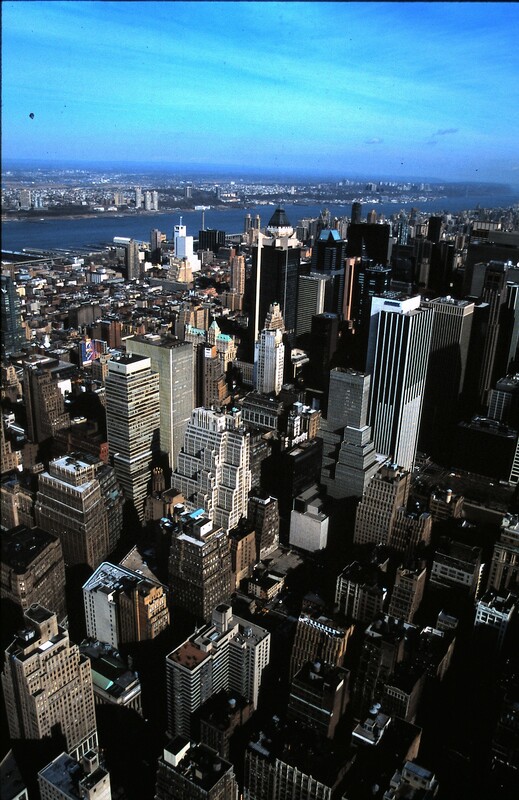 Music – “New York, New York” from New York, New York by Frank Sinatra. Released: 2008. Here’s the trivia quiz: in what city are 100 million Chinese food cartons used annually? Which city has more than 16,000 full service restaurants, 18,780 counter service restaurants and 2,657 bars, taverns and nightclubs? Paris? London? Toronto? Nope. You got it…New York City, aka “The Big Apple”, “Hong Kong on the Hudson”, “The City that Never Sleeps” , “The Concrete Jungle” (very aptly named!) and “The Melting Pot”, to name but a few. And, no wonder there are so many Chinese food cartons: there are more than 6,000 Chinese restaurants in New York City. I have visited New York City several times over the years for various reasons: family visit, conferences, passing through enroute to somewhere else. 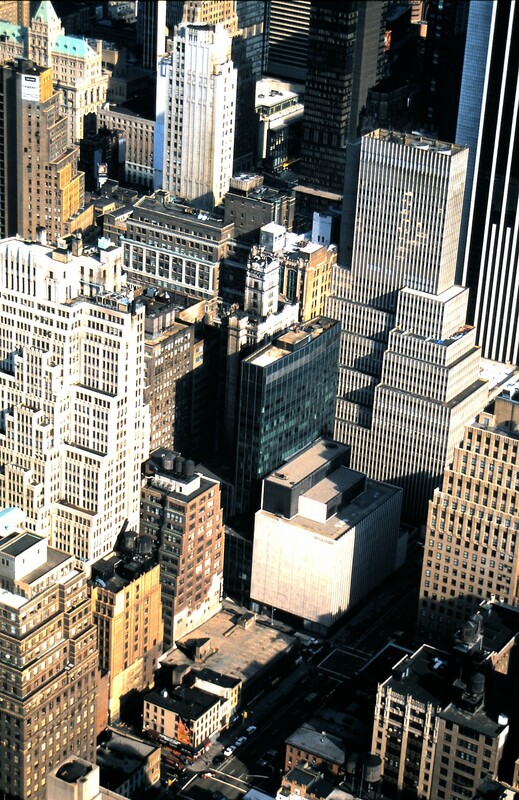 According to statistics, in 2013, there were 8.4 million residents of New York City, which is about 305 square miles in size. That’s roughly 27,541 people per square mile. Broken down, that allows roughly 1,012 square feet per person, however, that does not reflect actual living space. Office skyscrapers, private businesses, public offices, etc. aren’t exactly considered “living space”. Even New Delhi, India, a city of 14,000,000 in 2013, spread out over 572 square miles, has a population density less than New York City: 24,475 people per square mile! In my cookbook collection, I have a number of “New York” cookbooks, not to mention the cookbooks from famous restaurants, Jewish delis, etc. These include “Sizzle in Hell’s Kitchen” by Carliss Retif Pond, “The Union Square Café Cookbook” by Danny Meyer and Michael Romano, “I’ll Taste Manhattan” by the Junior League of the City of New York, “New York Cookbook” by Molly O’Neill, and “The New York Cabbie Cookbook” by Mary Ellen Winston and Holly Garrison. 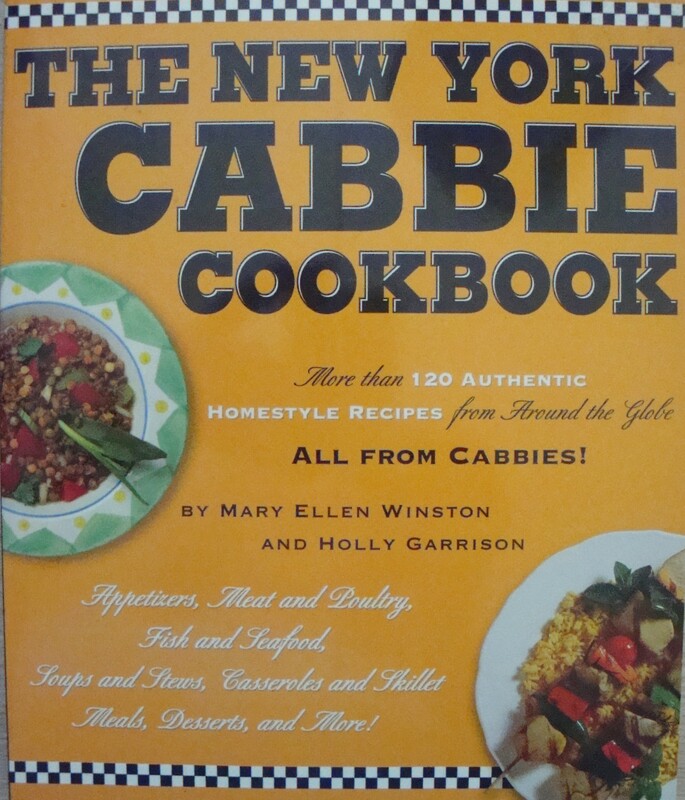 “The New York Cabbie Cookbook” is particularly fascinating, both in recipes and the lore of the cab drivers. As the authors note, “The New York Cabbie Cookbook is an international melting pot of favorite homeland recipes from the cabbies themselves, liberally spiced with the insider tips and observations about life behind the steering wheel”. Recipes range from “Adobo Pork Roast” to “Fried Yucca with Pickled Onion Rings”. In addition to the recipes are snippets of New York City history, for example, the last Checker Cab in New York City was retired in August, 1999 and sold at a Sotheby’s auction for $134,500. Currently, there are 13,605 taxicab “medallion” licenses in New York City. The recipes in this cookbook are diverse and reflect the “melting pot” of the drivers. 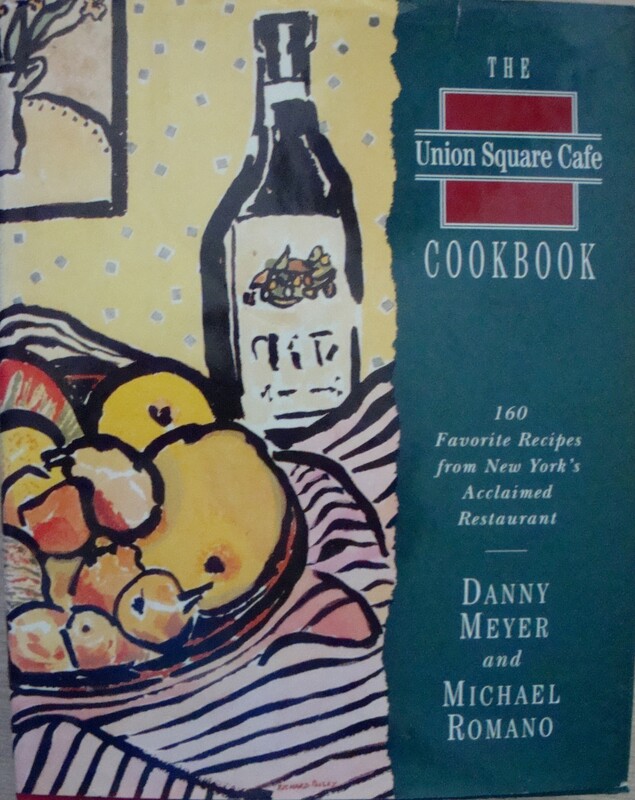 “The Union Square Café Cookbook” offers up a tantalizing variety of recipes including “Sardinian Lemon and Sheep’s Milk Cheese Fritters with Honey” and “Yellowfin Tuna Burgers with Ginger-Mustard Glaze”. 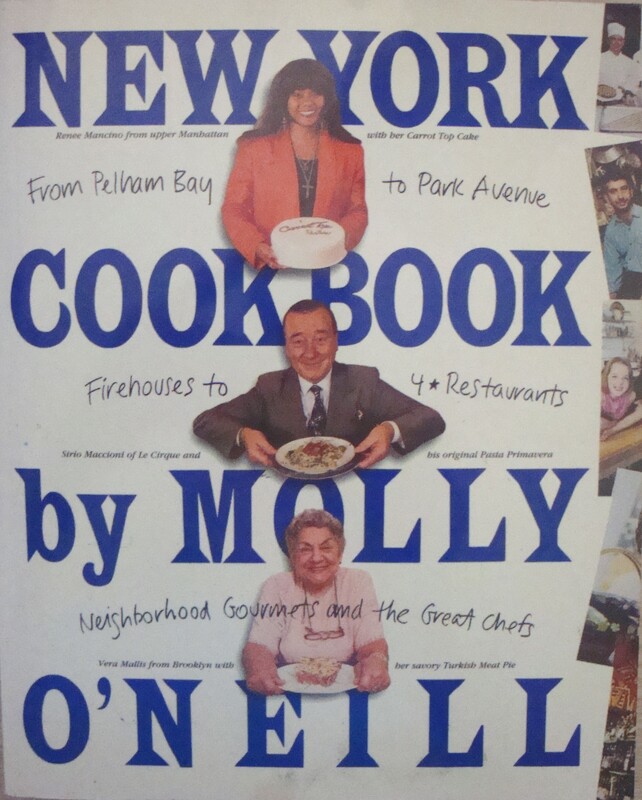 “New York Cookbook” by Molly O’Neill features “Nibbles, Noshes, and Appetizing”, “Soups for Sipping, Slurping, Supper” and other chapters including “New York Noodles” and “A Little Something Sweet”. 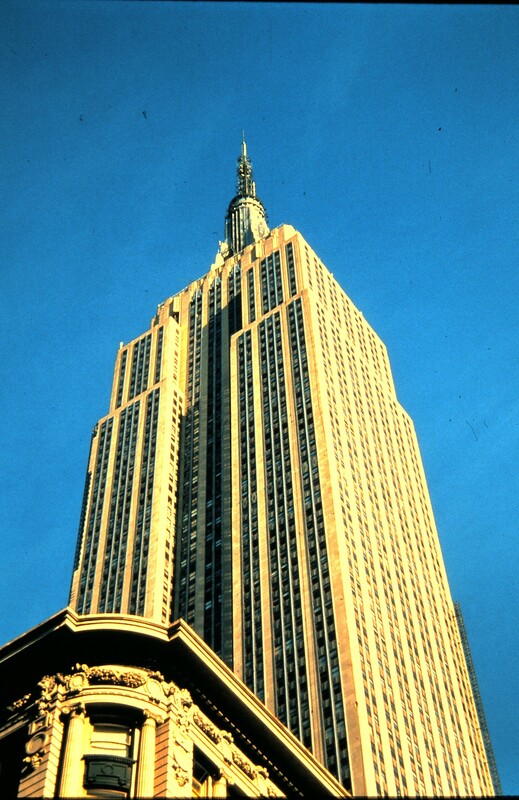 The book is also packed with New York history trivia, stories about restaurants and a whole lot more. 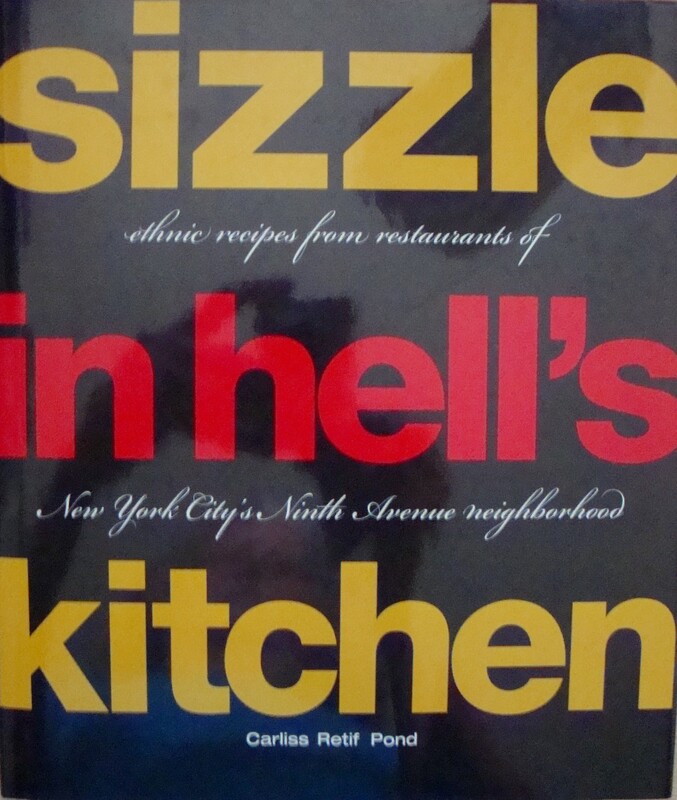 The product of New York City’s 9th Ave. neighbourhood is the focus of “Sizzle in Hell’s Kitchen” by Carliss Retif Pond. The cookbook represents a conglomeration of cultures and foods….”Aztecan Black Bean Soup”, “Arabian Rice Pudding” and “Hell’s Kitchen Horseradish Burger” are just a few of the tempting recipes in this cookbook. 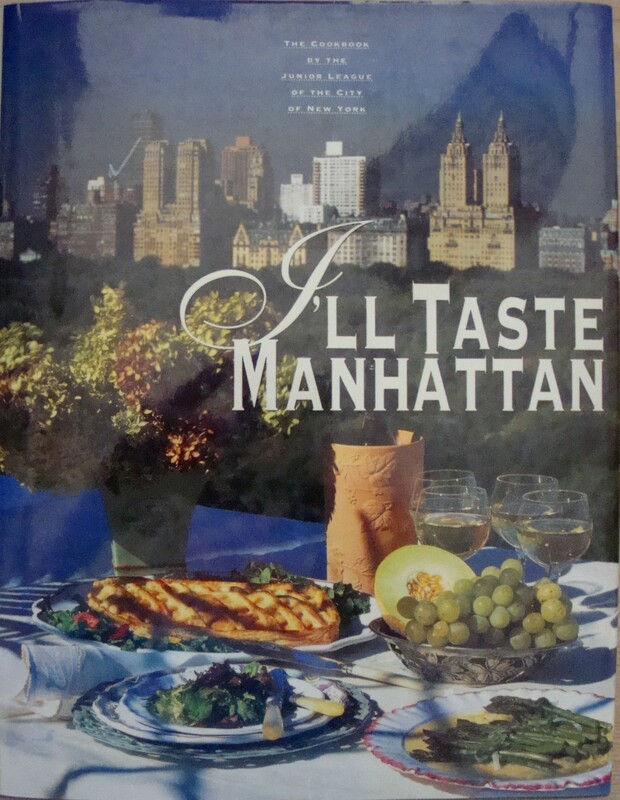 Lastly is “I’ll Taste Manhattan” by the Junior League of the City of New York. “Orange Rosemary Lamb Stew” and “Frozen Amaretto Souffle” reflect the diversity of New York neighbourhoods. All of these cookbooks are worth looking at, if you love or live in New York City, whatever name it goes by. This entry was posted in Cookbooks, Cooking, Eating, Uncategorized and tagged Chinese Restaurants, Concrete Jungle, cookbooks, Cooking, I'll Taste Manhattan, New York City, New York Cookbook, Sizzle in Hell's Kitchen, social history, Sue Jimenez, The New York Cabbie Cookbook, The Union Square Cafe Cookbook. Bookmark the permalink.